The economy of diesel power combined with the open space of a center console. Mirage's 32 inboard can take you farther on less fuel, keep you comfortable and safe in adverse weather, and accommodate the crew with uncluttered deck space, realistic overnight capability for four and ample seating for everyone. When powered by a single fuel-efficient Volvo Penta D6 power plant mated to a counter-rotating Volvo outdrive, this boat will cruise at 30 mph while delivering 3.5 mpg. With integral tankage for 230 gallons of fuel, this provides a range of more than 700 miles. 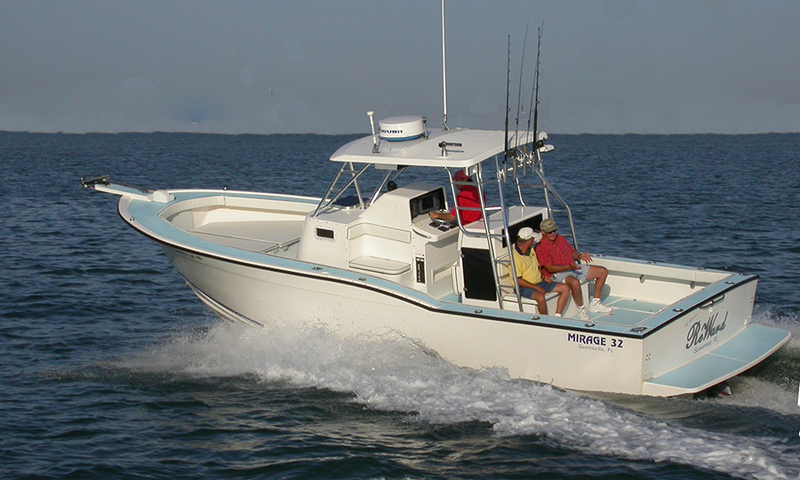 Opt for twin engines and cruise speeds rise to 40-plus mph, with a top speed of better than 50 mph. 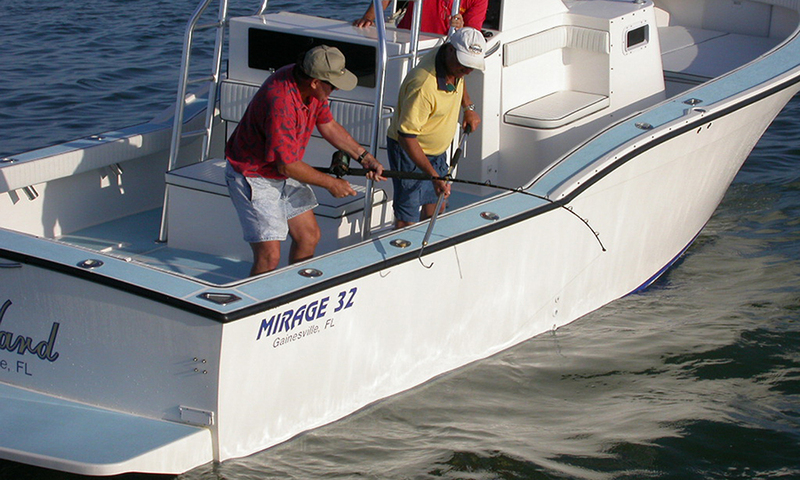 Both single and twin installations provide a clean wake at trolling speeds, along with excellent maneuverability in reverse. Length, 34 ft. 2 in. Beam, 10 ft. 9 in.